2018 has been an important year for us. It has been abundant with International Bar Association activities and recognitions, which in turn has brought resonance to make our brand esteemed and recognizable in the global legal world. As the outcome of this successful year, we have been retained by numerous high-profile clients. Here is a brief description of the most important events that occurred last year. 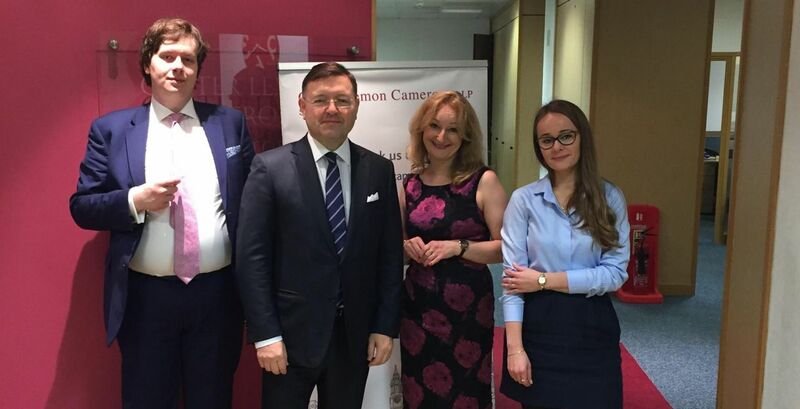 Together with Carter Lemon Camerons LLP, we held a seminar in London on investing in Poland and transferring UK businesses to Poland (a Polish and British perspective). The seminar was held at CLC’s offices on 25 January. Grzegorz E. Woźniak and Adrian Andrychowski spoke about investment projects in the real estate, energy and infrastructure sectors and on the legal aspects of directors liability in a Polish limited liability company. In February, we opened a family office. A lot of people are turning to family offices as a way to meet their needs, to reach their long term goals and to handle their current business and personal affairs. Poland is not an exception. As the No. 1 Private Client law firm in Poland (ranked by Chambers HNW and the Legal 500), we started to deliver one stop shop family office services for High Net Worth Individuals and their families to manage their wealth affairs. 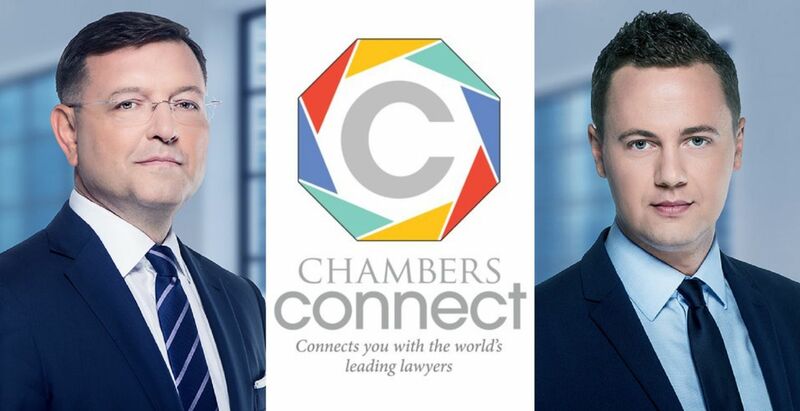 Grzegorz E. Woźniak and Grzegorz Dudek were added to ChambersConnect. ChambersConnect, which is operated by the legal directory Chambers and Partners, enables direct contact online between the clients and the best lawyers in the world. It has three main features: ‘Ask the Experts’ which enables clients to send inquires directly to chosen lawyers, ‘Request for Proposals’ which allows to contact several lawyers at once and receive standardised answers, and ‘ChambersCompare’ which allows to compare various law firms on the basis of their Chamber’s rankings. In April, the Legal 500 recognised us for the third time in a row as the best private client law firm in Poland since the category’s inception. The ranking was first published in 2016 and then in 2017. Our team has been described as reliable and professional which provides appropriate and timely support to individuals as well as charitable bodies. Grzegorz E. Woźniak and Grzegorz Dudek were again recommended as the leading private client lawyers in Poland. In May, Grzegorz E. Woźniak gave an interview to Israeli television i24NEWS about the impact of the newly passed JUST Act regarding restitution of property in 47 countries, including Poland. As of 1 May 2018, Woźniak Legal launched a full-service dispute resolution practice. We handle many high-rate, bet-the-farm type of litigation matters. More and more clients are coming to us with such cases which are of paramount importance to an organisation. Much more litigation work has been going to smaller firms that are litigation specialists like us. Clients do not need big law firms which handle their cases at the average level. They need a team of specialists which have necessary experience and know how to win cases. 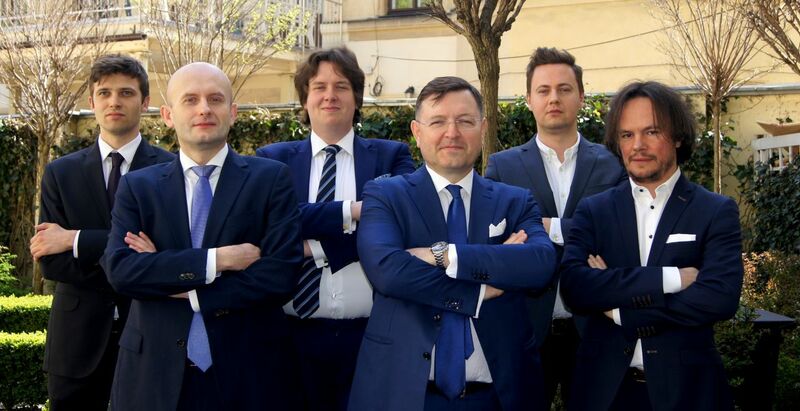 In June, our managing partner Grzegorz E. Woźniak started his legal blog: https://grzegorzwozniakblog.com/. There, he publishes advice on several business topics. 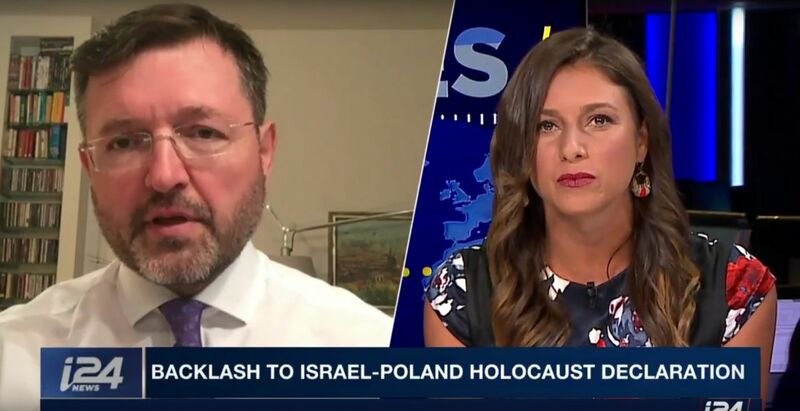 In July, Grzegorz E. Woźniak gave an interview during prime-time show “Perspectives” on i24NEWS TV about the joint declaration on the Holocaust that was issued by Israeli Prime Minister Benjamin Netanyahu and Polish Prime Minister Mateusz Morawiecki as part of an agreement where Poland would amend its law criminalising assertions that Poles were complicit in the Holocaust. The show was hosted by Tracy Alexander and discussed the declaration from the Israeli and Polish points of view. 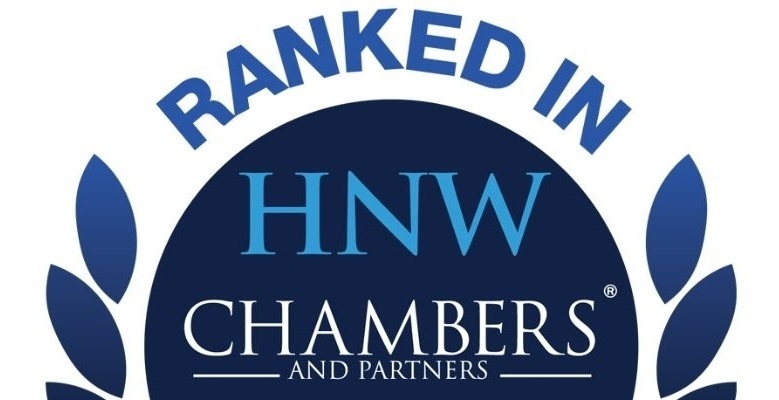 We have been ranked Band 2 in the Private Wealth practice by the Chambers High Net Worth ranking for Poland. Grzegorz E. Woźniak and Grzegorz Dudek have been classified as leading private client lawyers. One of the interviewees described Grzegorz E. Woźniak in the following way: "He is experienced in handling major cases. He is definitely a very experienced lawyer, he is very knowledgeable, and is very well-qualified." Woźniak Legal is one of the founders of the New Circle network. It was set up by lawyers who worked closely together at Allen&Overy in different European offices, including Germany, France, Italy, Holland, etc. What makes the network unique is the shared experience of close collaboration in a large number of cross-border transactions. The name 'New Circle' is a direct reference to the 'Magic Circle' in a way that we strive to handle the most high-valued transactions in an international manner. We have been awarded twice by the Law Society for our initiative. In 2017, we were shortlisted for the Law Society’s Excellence Awards in the field of International Legal Services, while in 2018 we were highly commended in this field. 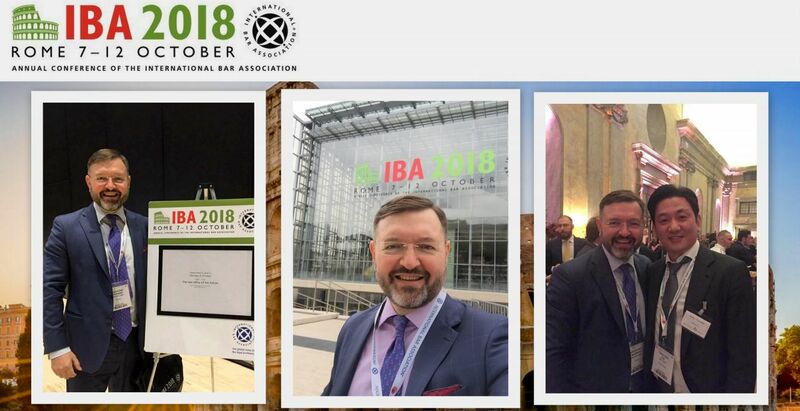 In October, Managing Partner Grzegorz E. Woźniak was in Rome for the International Bar Association annual conference. 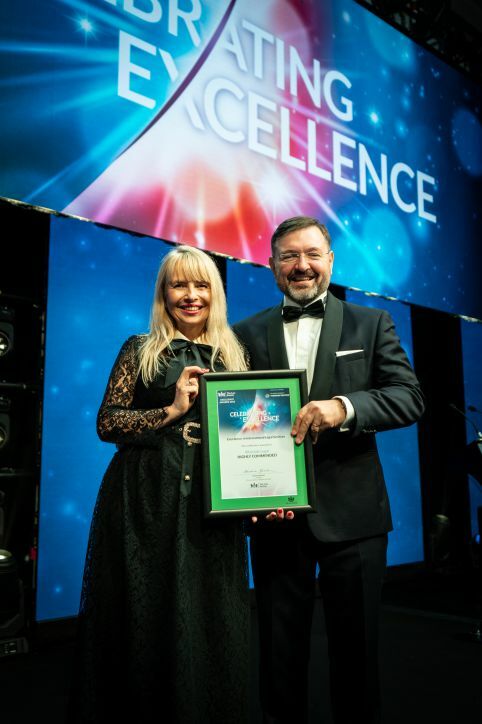 Woźniak Legal has been highly commended in the field of International Legal Services in the Law Society’s Excellence Awards. The award gala took place on 17 October 2018 at the prestigious Grosvenor House Hotel. The awards were handed over by the President of the Law Society Christina Blacklaws. 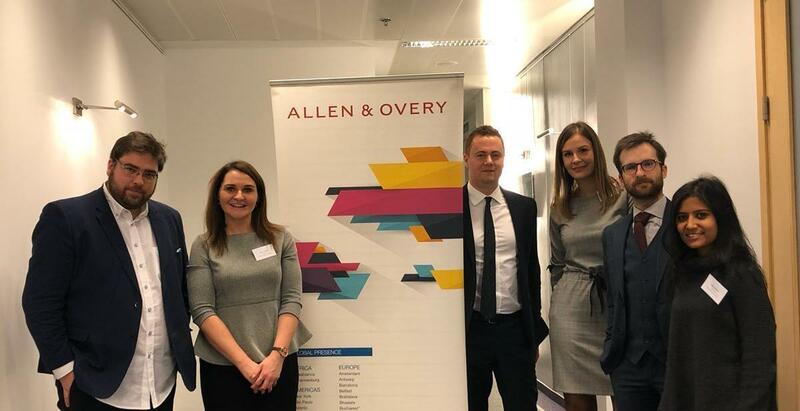 Our law firm received the award for the creation and the development of the New Circle network, which is an international law firm network consisting of lawyers who used to work for the magic circle law firm Allen&Overy. The network initially included law firms in Hamburg (Ramin Loeschner LLP), in Milan (Giovannelli e Associati), in Amsterdam (Janssen Broekhuysen), in Prague (Taubel Legal) and in Warsaw (Woźniak Legal). Now, it also includes Bratislava (AKF Lawyers), Paris (Bichot & Associes), Luxembourg (Bouchoms & Braesch) and Budapest (HP Legal). In November, our senior associate Adrian Andrychowski was recognised by the International Advisory Experts as the lawyer of the year 2019 in Poland in two fields: Construction Disputes (for the second year-running) and Contract Disputes. In December, Woźniak Legal helped NGOs and Social Enterprises in a legal workshop organised by Thomson Reuters Foundation. 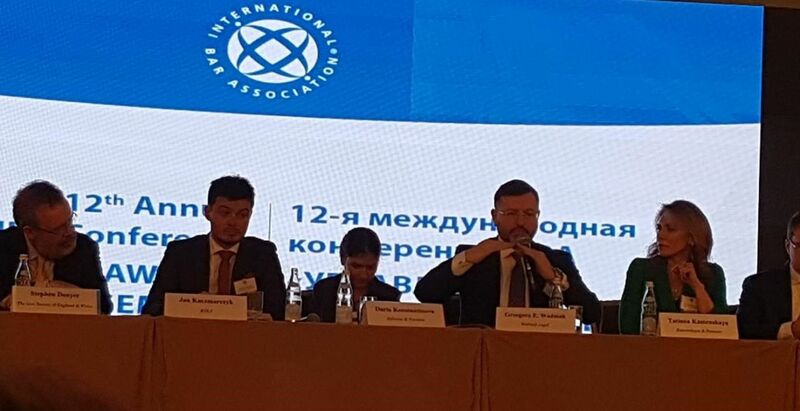 In December, Managing Partner Grzegorz E. Woźniak was in Moscow for the IBA law firm management conference. The conference took place in Radisson Royal Hotel. Great atmosphere and many eye-opening discussions. One of the key sessions was devoted to the most innovative and promising elements of the law firm strategy in fast changing world. It included (inter alia) Stephen Denyer from the Law Society speaking on new technology, Tatiana Kamenskaya speaking on competition issues and Grzegorz E. Wozniak speaking on legal networking and camaraderie between lawyers which was illustrated by the example of the New Circle network. Woźniak Legal’s ground breaking work over the last twelve months is a real game changer.